Home › Diary of an in-house translator › What gets lost in translation? As any linguaphile, word nerd or grammar enthusiast will be able to tell you, learning languages is not always an easy task. To complicate matters even more, when it comes to the art of translating from one language to another, there is always the risk of losing an extent of meaning in the target language. Any professional translator could tell you this, and I’m sure they would tell you, perhaps with a slightly aggrieved expression on their face. What interests us in this particular case, however, is what actually gets lost in translation and the reasons for this. At Pangeanic, our translators work with an extremely diverse range of texts every day. As you can imagine, this has equipped us with a sharp understanding of the dilemmas that translators face when striking the balance between staying faithful to the meaning of the source text and adapting it to the target language and culture. Thanks to this, we’ve been able to find out which translation fields suffer most from loss in meaning when transferring ideas from the source to the target, and the specific ways in which this happens. A case study carried out by our in-house native English translator rather succinctly demonstrated how literary texts, in particular those of the fantasy genre, tend to result in a loss of cultural identity and meaning when translating this genre. This is mainly down to the fact that if you are required to be creative with your translation in the same way that the author was creative when writing the text, then you will already be straying away from remaining faithful to the source text and leaning more towards adapting to the target culture. Using the argument that the root of the issue is the way in which culture and language is perceived in the national imagination of the target audience, we can use the classic English literary trilogy The Lord of the Rings and its translation into Spanish as an example. Let us take a look at the name ‘Shire’ in Tolkien’s trilogy, which was translated into Spanish as ‘Comarca’, meaning a division of land or traditional region. Although the denotation of the word Shire is a county, the English connotations of the word are of a rural division of land in a pre-industrial, agricultural age. To an English reader this would be typified by the ‘Shire horse’ and the green areas away from the industrialised towns, echoing Tolkien’s dismay at the destruction of rural England. Therefore, although the translator has been able to translate ‘Shire’ in a literal sense, the effect of associating these invented places with rural parts of England is inevitably lost. 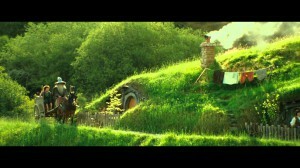 The Shire in Tolkien’s literary classic The Lord of the Rings. Another specific issue of translating English fantasy literature is the linguistic flexibility adopted by the authors and the poetic effects they create in doing so. English authors, particularly in fantasy texts, have a tendency to invent their own qualifying noun combinations which would not necessarily be used in ordinary Standard English. Given that for many authors, literature can be seen as a stage upon which they are free to use language in whichever way they like, this in turn causes problems for the translator who wishes to faithfully render both the style and meaning of the source text whilst at the same time making sense to the target culture. 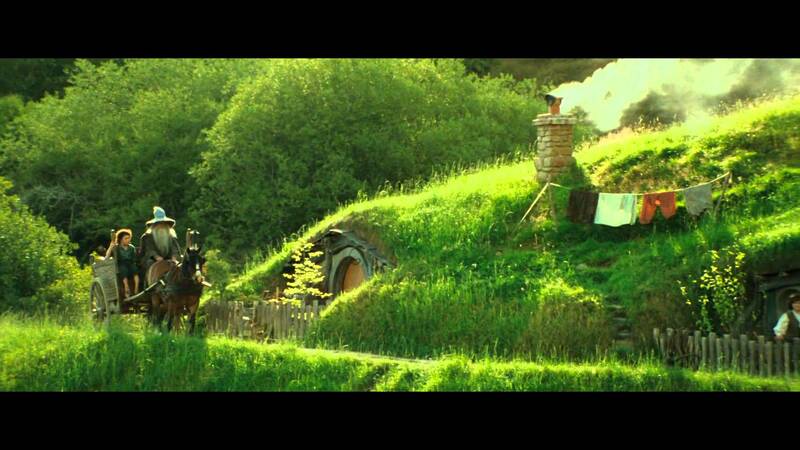 Tolkien uses hyphenated nouns to good effect in The Fellowship of the Ring; hobbit-hole, baggage-pony and ferry-boat, none of which translate into Spanish without losing the quaintness of style, with ‘la cueva de un hobbit’ (lit. The cave of a hobbit) being the most cumbersome example. Culture-specific references are also abundant in literary texts, and we can see this not only in the case of The Lord of the Rings, but also in popular works of children’s fantasy literature. Lewis Carroll’s Alice in Wonderland is brimming with cultural references, puns, parodied verses and linguistic jokes. This is a particularly good test of a translator’s skills, as they are faced with the challenge of finding an equivalent in the target culture that has the same effect on the reader. There are bound to be occasions when there is simply no exact equivalent. In the case of the Mad Hatter in Alice in Wonderland, British contemporaries would have known that the Hatter was mad because of mercury exposure, however this element was not used by hat makers in other parts of the world, so this cultural reference would be somewhat lost on them. Similarly, the characters in J.K Rowling’s Harry Potter books are presented through having a wide range of registers and idiolects which are based on British culture. The text is also rich in British humour and cultural references, acting as a backdrop to the magical thread of the story. Therefore it is unavoidable that it won’t have exactly the same effect on other target audiences as it does on the British audience. Loss of meaning occurs simply because of the idiosyncratic nature of each language and culture, and not due to any fault on behalf of the translator. Based on this case study, we can see that in the instances of translating proper names and culture-specific concepts, the main problem is that the translator cannot transfer the shared cultural knowledge from the source text over to the target text, or in many cases even find an accurate target culture equivalent. This has tended to result in a loss of exact meaning. However, in the case of translating poetic language, invented word combinations and character idiolect, the principal challenge proves to be linguistic; the different grammatical structures of English and Spanish, for example. This tends to sacrifice the stylistic effects of the source text more than the meaning. There is a general agreement amongst scholars that translating literary texts is one of the most problematic forms of translation (on the scale of how much gets lost in translation), and after doing our own in-house research, we will readily join that school of thought!